issued detailing those included in the new regulations. balance 40% may be exported air dry. resulted in falling government revenues in many countries. problem of electric power supply. need to improve the business climate to attract investment. identified six pillars upon which this will depend. behind the market conditions in China. continues producers expect to see order books firm. issues in the domestic market. produced for export and the domestic market. and chainsawn timber are sold. Fumesua near Kumasi in the Ashanti Region of Ghana. protecting the country¡¯s forests it need more resources. to reverse the trend of deforestation and land degradation. 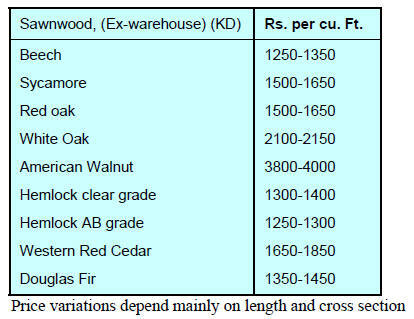 (27%) and sawn timber (12%). they can fully meet export targets. US$140 billion global furniture market. orders worth around US$325 million. 24 export commodities recording an increase in February. profits since the company secured SVLK certification. of starting fires to clear land. headed by someone with a forestry background. appointed as Managing Director of the organisation. approach between conservation and sustainable utilisation. of illegal logging, deforestation and forest degradation. for the period was only 3.38 million tons. February 2016 compared to -0.90% in January. and services in the next 10 years. sector are projected during 2012-17.
infrastructure are estimated over next 20 years. Indian GDP (at constant prices). manufacturers were slow to embrace overlay lamination. laminating capacity now face marketing problems. Auctions in the South Dangs depots have been concluded. prices secured is shown below. 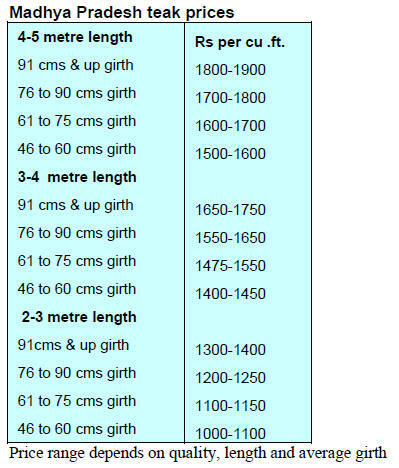 were in the range of Rs.350-450 per c.ft. region as for those sold in South Dangs. and the wood has a fine golden colour with black stripes. 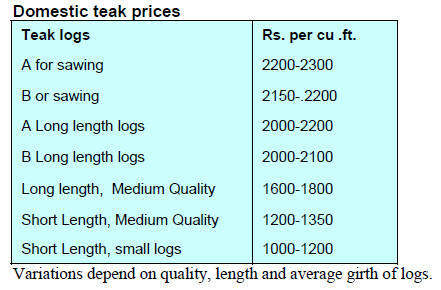 metres of teak logs were sold. auction were higher than at earlier auctions. 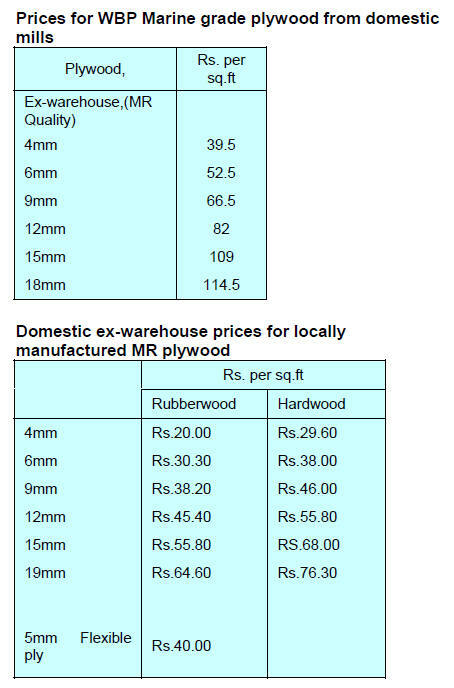 dimensions, the market and prices remain stable. 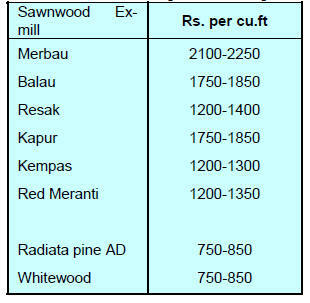 them to mill and compete with imported sawnwood. Prices remain unchanged from two weeks earlier. 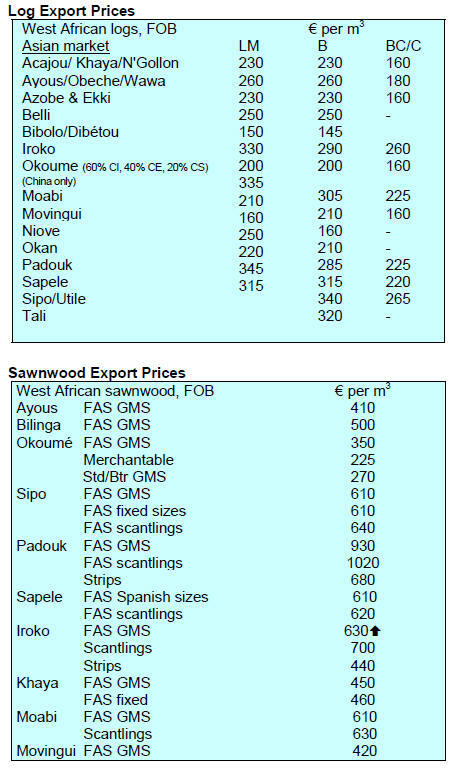 professionals involved in the wood supply chain. to survive, industry must seek alternative markets. rising uncertainty will remain intense. European market as ocean freight charges are low. relationships and partnership with companies in Europe. 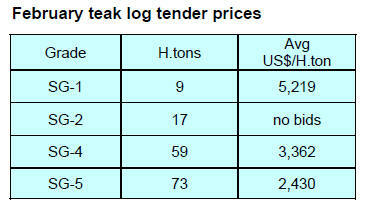 prefabricated wood products for the EU market. achieved a high conversion rate. will not have to provide additional evidence. examined further in consultation with the private sector. from 95,600 cu.m to 132,800 cu.m during the same period. 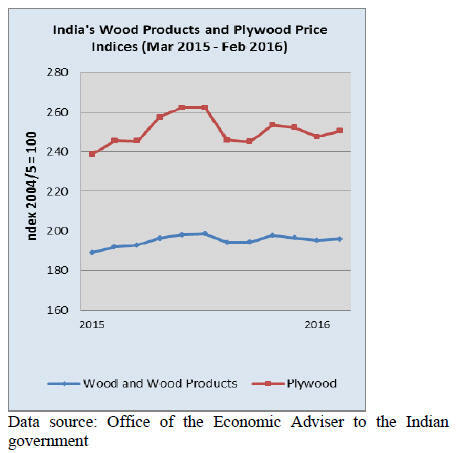 the value of tropical plywood exports rose 7.5%. 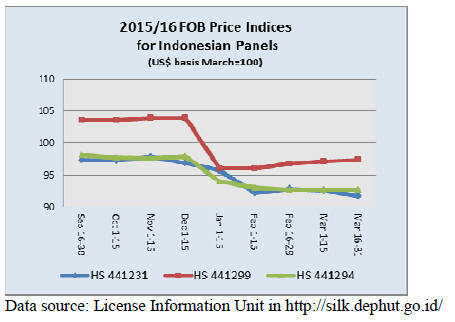 US$34.1 million in February 2016, an almost 5% increase. crisis and 1.9% higher than in 2014.
doors which recorded an 8% increase. falling US dollar prices, damaging the entire segment. products benefit from lower tariffs. not encourage investment in downstream manufacturing. (CITEmadera) recently met to outline such a roadmap. Primary transformation and secondary processing.